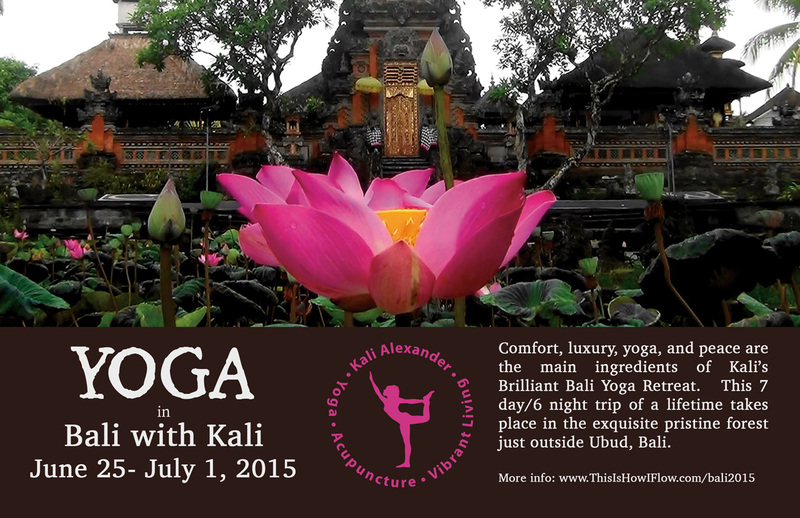 Comfort, luxury, yoga, and peace are the main ingredients of Kali’s Brilliant Bali Retreat. This 7 day/6 night trip of a lifetime takes place is the exquisite pristine forest just outside Ubud, Bali. Enjoy daily yoga classes taught by Kali, relaxing spa treatment, breathtaking views, farm-to-table cuisine, day excursions, and time to simply chill. 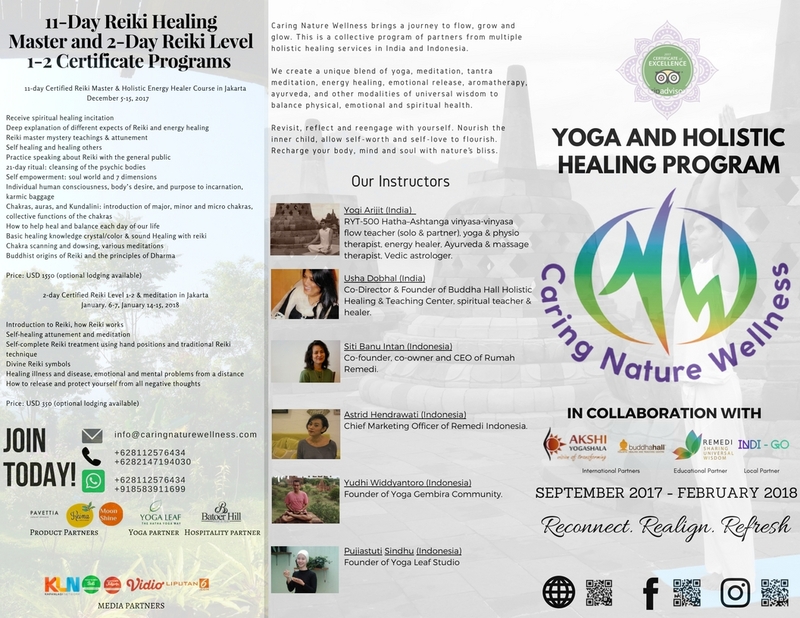 Deepen your physical and spiritual connection on this magical retreat. The property is exquisite with dream-like views of the garden and forests. Rooms include modern luxury and amenities with meticulous service by the resort staff. Just thirty minutes outside the main city of Ubud, the venue offers stunning views over vast gardens and forests. Each room has en-suite bathroom providing slippers, bathrobes, bathroom amenities, laundry bag, a shower and a large bathtub. Room amenities include television, air-conditioning, electronic safe, mini-fridge, tea and coffee machine. Daily fresh fruits, water, and afternoon tea with Balinese homemade sweets are provided. The open view restaurant can accommodate the request of a special healthy food menu. Breakfast, lunch, and dinner are served. The large swimming pool overlooks dream-like vegetation. Located on sacred ground adjacent to an ancient holy temple, participants may experience a high level of spiritual connection and emotional ease. The spa features two semi open treatment rooms with sunken baths, a wide selection of treatments featuring natural oils and exotic blends. The exceptional service of the resort may exceed expectations as the staff makes it their mission, to ensure that our retreat is memorable. At an additional cost, participants may enjoy cycling, a tour of a nearby villages, cooking and crafts classes, and more. A free shuttle is provided into the main city of Ubud if you are seeking a day trip for shopping, dining, sight-seeing, or one of the many activities that Ubud offers.